The School of Health Sciences is part of Dal Health. We're one of the largest Faculties at Dalhousie, with eight schools, one college and one program, more than 200 faculty members, 80 staff members, and over 3,000 students. The health-related programs at Dalhousie University are committed to providing their students with a wide-range of interprofessional experiences and opportunities. Many of these activities are centered around the state-of-the art Collaborative Health Education Building, which provides students with an opportunity to learn in an environment that more accurately reflects real world health-care practice. 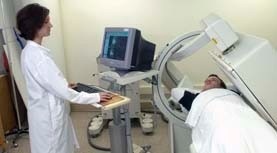 Study Diagnostic Medical Ultrasound, Nuclear Medicine Technology, Radiological Technology, or Respiratory Therapy. Learn more about our programs. Read student and alumni profiles on the Health Sciences program site. Our School educates inter-professional health practitioners who meet the current and emerging demands of the health care system. We offer nationally accredited entry-level and Post Diploma baccalaureate education in five unique disciplines. We are also the only fully integrated four-year university-based program of its kind in Canada. 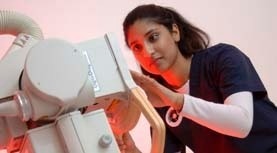 Learn more about the School of Health Sciences. At Dalhousie University, not only will you learn from the best, you'll also work with them. Dalhousie attracts more than $140-million in research grants and awards annually. Learn more about research areas at the School of Health Sciences.